The first time I ever travelled overseas, when I was sixteen, I didn’t even have a mobile phone. Back in those days (that makes me sound old), I relied on paper maps and asking the locals for recommendations when exploring a foreign city. Fast-forward twenty years, and if I’d accidentally left my smartphone at home when I travel, these days I’d be completely lost! I literally have an entire screen on my iPhone dedicated to travel apps (72, to be exact). And nearly every one of them actually gets used – regularly. Here are my 17 top travel apps that I use any time I travel outside my home city! Not only is Google Maps, in my opinion, the best travel map app on the market, it’s also one of the most useful travel apps according to the New York Times Frugal Travel columnist, and the one app I use all the time when I’m on the road. One of the things I love about Google Maps is the offline functionality. You can download a map of the city or place you’re travelling to before you leave home and when you don’t have access to wifi or mobile data, you’ll still be able to access the map to navigate your way around the destination. Another useful feature is Google My Maps. When I’m doing my research and come across places to visit through blog posts or Instagram, or if a friend gives me restaurant recommendations, I always look it up on Google Maps and save it to a list so that I can access it later. If you’re wandering around a neighbourhood and want to find somewhere to eat nearby, you can see how close you are to one of these saved places. If that fails, I also love that you can use Google Maps to search for cafes and restaurants nearby that have been recommended by other users. This travel budget app and expense tracker offers a simple, easy-to-use interface featuring colourful pie charts that show the breakdown of all your trip expenses and categories. Trail Wallet is one of my top travel apps I have on my phone because you can enter your expenses in real-time and see how much of your total trip budget you have left. So, it’s effortless to use when you’re on the go. You can enter a total budget for your trip, or a daily budget, depending on what you prefer. It’s also possible to add multiple trip budgets at a time and supports hundreds of different currencies around the world, based on current exchange rates. Like most people, I usually can’t make it through the day without my morning caffeine fix, especially when I’m jetlagged. And because I’m a stickler for the barista-made variety, one of the first apps I turn to when I arrive in a new destination is Beanhunter. Beanhunter was created by coffee connoisseurs, for coffee connoisseurs. You can find and share your own speciality coffee experiences, near you and in cities all over the world, even those that are tucked away down little alleyways. So, if like me, you’re on a quest to find the most decent brew when you travel check out Beanhunter. If like me, you’re terrible at math, or maybe you’re from a country that doesn’t have a tipping culture (like Australia), then this is quite possibly one of the best travel apps you’ll come across. You simply enter the bill amount, confirm the tip percentage you want to add, and GlobeTips gives you the total. It will also give you the amount each if you plan to split the bill with two, three or even four people. Tipping is a somewhat foreign concept for me. So thankfully the app also has a handy guide detailing the average tip amount for each country. It will also autodetect the country for you if you turn on location services. I wouldn’t exactly say that Been is one of the most useful travel apps I’ve ever come across, but rather a bit of fun. I like to track how many countries I’ve been to, for my own personal travel goals. You can also use it to make all your friends back home a little envious of all the travelling you’ve been doing! At the time of writing this, I’m up to 38 countries. Which doesn’t seem like much for someone who used to work for an airline. Truth be told, I’ve visited a handful of those countries about 30 times, and I quite frequently visit a country more than once over a few years, especially if I like it! I won’t go into the details of why I love Hotels.com so much, because I already wrote an article about that. But a good reason to use their travel booking app is; they occasionally offer a higher discounted rate when you book a hotel room directly through the app. Other features include; accessing your hotel reservations on the go, even when you’re offline, and you can track how many more rewards nights you need before you get a free night! Hands down the best translation app I’ve ever tried. And I’ve tried a lot. It’s simple, pick the language you want to translate from/to, type, speak or write a phrase into the app, and Google will automatically translate for you. You can also listen to the pronunciation, and you can now use your camera to take a photo of a sign or text, and Google will recognise the words and translate it. A few other reasons why I think Google Translate is one of the best travel apps; it offers 103+ languages, and you can use it offline! Reading this article might seem like I’m a Google groupie, but to be honest, they just do some things better than others. I used to use TripIt to organise my travel itinerary, but I recently found Google Trips, and I’m a convert! It’s seriously the best trip planner app I’ve ever used. Why? Well firstly, if you have a Gmail account and get your travel confirmations sent to this email address, they will be automatically uploaded to Google Trips in an itinerary format. Google Trips will automatically recognise the destinations you are visiting and give you recommendations on things to do, places to eat, tips on how to get around, essential information about the destinations and recommended day trip itineraries. You can also save all this information to your phone to access offline. This certainly makes the research part of your trip a breeze. 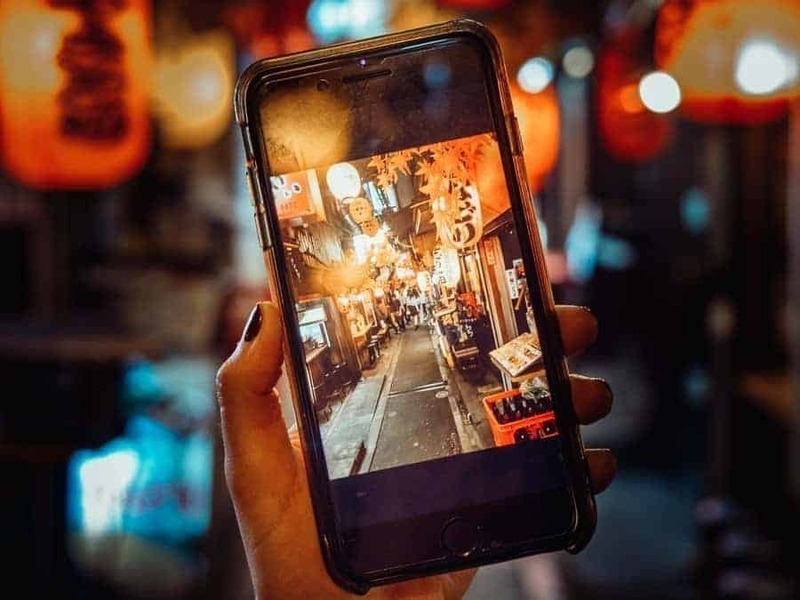 Instagram is great for wasting time, keeping tabs on your loved ones (or your ex), but did you also know it’s also one of the most useful travel apps? If you want to visualise the place you are visiting, you can search for that place and have a look at other people photos that have been tagged with that location. You can also use the ‘Save to Collection’ feature, which surprisingly a lot of people don’t know about (it’s the little flag symbol on the bottom right of the photo), to save the picture to a collection and access it later. Tip: Create a collection labelled with the destination you are planning to travel to and save any photos you come across into that collection. When it comes time to plan your itinerary you have a visual collection of things you want to see/do in that destination. Whenever I’m planning a trip to somewhere, I like to read blog posts as part of my research to get an idea of other traveller’s first-hand experiences and recommendations for that destination. If I were to Google “Things to do in Japan”, I would end up getting pages of articles written solely to drive traffic to their website and click-bait articles with maybe a few helpful one thrown in here and there. However, if I was to type the same search term into Pinterest, I’m pretty much guaranteed to get a gallery of stunning images as well as lots of blog posts with much more detailed recommendations for things to see and do in Japan. You can also create your own board for the destination you’re travelling to, save any pins that take your fancy and read them later on. Most of us probably use Uber to get around at home, but it’s also available in many countries around the world, making it one of the most useful travel apps. I probably don’t need to explain how Uber works. For those of you who have never used it, it’s a ride-sharing service that is offered in many countries as an alternative to taxis. However, Uber is not always available in every destination, so it’s best to do some research before arriving if you plan to just grab an Uber to your hotel. I usually leave packing until the last minute, so I need to be organised. PackPoint is the best travel organizer app to use before you even leave your home. You simply add your destination, when you’re going, how long for, and specify the type of trip, and PackPoint will autogenerate a recommended list of all the things you’ll need based on your chosen activities and the forecast weather. You can also customise the list by manually adding and subtracting items. Our next pick of the best apps for air travel is Lounge Buddy. As a luxury travel blogger and travel hacker, getting access to airport lounges is one of the perks I get to enjoy when I travel. But if you don’t fly enough to earn airline gold status, or your status doesn’t get you into a particular airport lounge, and you don’t have Priority Pass, then Lounge Buddy is going to be your best friend. Through Lounge Buddy you can purchase a one-time access pass to hundreds of lounges worldwide. So, next time your flight is delayed, or you have a long layover, you’ll be happy to have this buddy in your pocket. Rome2rio has been around for a while and in my opinion is still the best travel app for researching how to get from A to B. Whether it be by train, bus, plane, ferry or automobile, Rome2rio allows you to compare all available options; including estimated cost and travel time. GeoSure is one of the most useful apps for planning the safety aspect of your journey. GeoSure assigns a ‘safety score’ between 1 and 100 (1 = low risk, 100 = high risk) to locations based on hundreds of variables such as crime statistics, economic and political data, travel alerts, weather events, etc. I use GeoSure to research a destination before I arrive so I am aware of the risks of theft, violence, political or health issues. They now even offer localised LGBTQ friendliness and safety ratings. I know, you most likely already use WhatsApp all the time, even at home. So, I probably don’t need to go into the features. But it’s one of my top travel apps because I literally use it all the time when I’m travelling. I use it to call and message family back home. I use it to communicate with hotels, Airbnb hosts, tour guides, private transport operators and to make restaurant bookings. I usually tend to get a mobile data sim card wherever I go, so the fact that you can use WhatsApp with mobile data is so convenient. The best travel apps to have on your phone are not always travel booking apps, travel planning apps and travel budgeting apps. This VPN app allows you to browse online securely when connected to an unsecured network, such as the wifi networks in hotels, airports and cafes. You never know who’s lurking around on the internet these days and when you have a smartphone connected 24/7, it pays to have an additional level of security. I’ve been hacked about three times over the past 10 years, so now I don’t take any chances. Hotspot Shield offers a fast, private and secure network to access the internet where ever you are. I not only use their app for my iPhone but for my laptop as well.